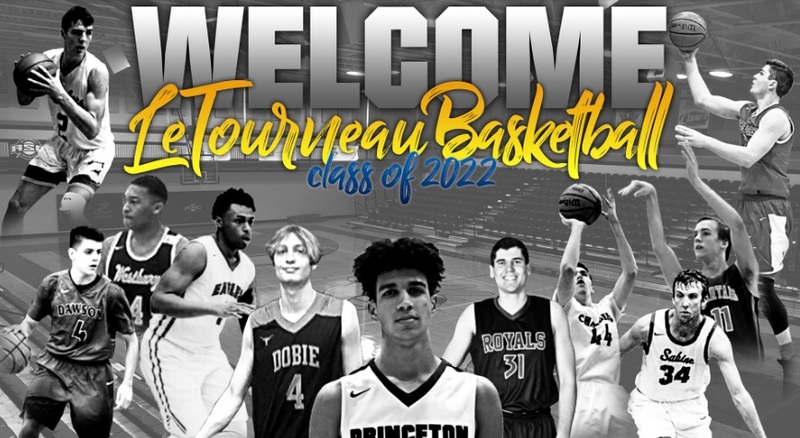 LONGVIEW, Texas – LeTourneau University head men’s basketball coach Dan Miller has announced the release of the 2018-19 LeTourneau University men’s basketball roster to go along with the 25-game regular season schedule that the YellowJackets will play this year. In total, the YellowJackets will carry a roster of 19 players, with nine players returning after last year’s record-setting NCAA Tournament qualifying team. The 10 newcomers will feature a mix of five guards and five post players to go along with the five guards and four post players that LETU brings back from last year. We added four guards from Houston and one from East Texas who all bring something different. Alex Burkhart, Andrew Eberhardt, and Kyle Matthews were All-District players from very successful 6A programs. Will Shawn has been one of the best high school players in East Texas the past few seasons and for the first time can just concentrate on one sport. Rashard Johnson was part of a State Championship his Junior Season at Westbury Christian High School. After graduating Alec, Sam and Justin we needed to bring in some excellent 3-point shooters and Andrew and Will fill that need. Alex and Kyle are two extremely versatile guards who bring depth to the backup PG spot but can also play off the ball. Rashard brings toughness to the team and we love his JYD mentality on the court. Garrett Beene can score from all three levels and was versatile playing for Dallas Christian. Korrin Taylor and Paul Thelen are extremely tough guys who will battle in the paint, grab rebounds, and do whatever the team needs. Brick Fosnight, 6’6, and Elijah Gerber, 6’7, not only bring size and athleticism but they both are skilled for their height. This group also includes Tyler Paulk who had 35 dunks his senior season but has a leg injury and will serve as a Student Manager this season. It’s going to be exciting to see this group of big men improves each day and season at LETU to have a big impact on our program. Looking towards the 2018-19 schedule, LETU will kick off the 2018-19 campaign with their annual blue-gold scrimmage on Saturday, November 3rd at 3 p.m. The official start to the 2018-19 season will see LETU head west to Willamette University in Salem, Oregon at 7:00 pm (Pacific Standard Time) on Friday, November 9 and conclude their opening weekend of play at perennial powerhouse Whitman College in Walla Walla, Washington with tip-off slated for 3:00 pm (Pacific Standard Time) on Sunday, November 11. The ASC/SCAC Challenge will be hosted November 16-17 this season and take place on the campus of East Texas Baptist University as the YellowJackets will take on Texas Lutheran University at 3 p.m. on Friday, November 16 before wrapping up the weekend at 2:00 pm on Saturday, November 17 against Schreiner University. A delayed home opener for LETU will take place on Wednesday, November 20 at 2:00 pm against Austin College before hosting Wheaton College out of Illinois for a 7:00 pm contest on Saturday, November 24. American Southwest Conference play will begin on Thursday, November 29 at Concordia University at 7:30 pm with the opening weekend of conference play concluding on Saturday, December 1 at 3:00 pm in Belton, Texas at Mary Hardin-Baylor. LeTourneau returns home for a season-long five-game homestand to kick off the holiday break as LETU will play Sul Ross State (Thursday, December 6, 7:30 pm) and Howard Payne University (Saturday, December 8, 3:00 pm) during finals week of the fall 2018 semester before taking three weeks off before their next contest. A non-conference matchup against Millsaps University at 3:00 pm will be the non-conference finale for LeTourneau before re-entering ASC play on Thursday, January 3 when the YellowJackets host Hardin-Simmons University at 7:30 pm. The weekend against foes from Abilene will wrap up on Saturday, January 5 at 3:00 pm against McMurry University before leading into road games at East Texas Baptist University (Tuesday, January 8, 7:30 pm) and Texas-Dallas (Saturday, January 12, 3:00 pm). LeTourneau’s next three opponents will feature all three ASC schools located outside the state of Texas with Belhaven University and Louisiana College coming to town on Thursday, January 17 at 7:30 pm and Saturday, January 19 at 3:00 pm. A trip to Clarksville, Arkansas to take on the University of the Ozarks at 7:30 pm on Thursday, January 24 leads into back-to-back matchups against the University of Texas-Tyler, with the first of two games taking place on Saturday, January 26 at 3:00 pm in Tyler. The YellowJackets and Patriots will meet back up in Longview on Thursday, January 31 for a 7:30 pm tilt to kick off the second half of ASC East divisional play with Ozarks making a return trip to Longview on Saturday, February 2 at 3:00 pm. The final two regular-season road games of the year will take LeTourneau to Pineville, Louisiana on Thursday, February 7 at 7:30 pm to take on Louisiana College and Jackson, Mississippi to face Belhaven at 3:00 pm on Saturday, February 9 which will lead into two final home games. East Texas Baptist will make their annual trip down Highway 80 on Tuesday, February 12 for a 7:30 pm clash with Texas-Dallas making the trek down I-20 two nights later for a valentine’s day evening game at 7:30 pm to conclude the regular-season. Two exhibition games for the YellowJackets will be announced at a later date to give LETU a full 27-game schedule for the year. The 2019 ASC Men’s Basketball Tournament will be hosted by the number one seed in the East Division as the YellowJackets will be vying for their third-straight ASC East Division crown. The dates for the tournament will be Thursday, February 21 through Saturday, February 23, 2019.